My god, we’re actually on schedule! Ahead of schedule, even: we’re officially live at 6pm UTC today, and the press release on the next page is dated tomorrow… (and er, previously we said “November”). After we bailed on you about one month ago – freezing all updates on Kikizo to focus on this relaunch – it’s been pretty much non-stop around here, and finally, we can give you guys an explanation. What we have here is the product of about two years of reconstructive thinking. We don’t expect our relaunch to shock and awe the industry or anything, but we do expect it to be a vast improvement in the quality of service to our readers than we were previously able to provide, and we also think it’s a set-up that’s going to work better for us, too. Without getting bogged down in the deceptively complicated, fast-changing details surrounding online publishing – and how we reckon our new approach is a real strategic answer to it – the key point we will emphasise here is being different: we think that’s what’s most important for smaller digital media companies right now. Kikizo has always been different in a sense. In its earlier days, nobody really did video coverage like Kikizo did. Simply, nobody else was publishing 30-minute behind-the-scenes documentaries and high quality 60fps videos back in the midst of the last console generation. Over the years, Kikizo’s selling point transitioned to focus on interviews, both with the world’s top game creators and the industry’s most influential executives. That’s still true – and our reviews, features and popular preview coverage are all still part of the mix. Today, Kikizo is renamed Video Games Daily. I’ve lost count of the number of times I’ve had to spell ‘Kikizo’ out to people, explain what it means (or actually what it doesn’t), how it should be pronounced and other trivia, which in fairness we only brought on ourselves in the first place. We’re keeping Kikizo as the company name, and as the name of our network of sites. 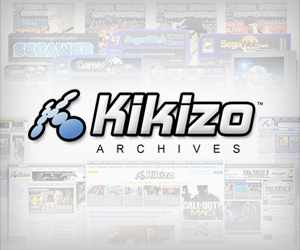 But our flagship games site that WAS Kikizo is now Video Games Daily; we thought it sits rather nicely alongside our recently-launched Blu-ray Daily for one thing, and also we’ve learnt that at this level of the game, it just makes sense for a website’s name to be more… descriptive. One of our highlight launch features on Video Games Daily is Gaming Idols: Top 50 We Ever Interviewed, in which we name (my personal) 50 best interviewees of the site to date. Of course there’s a lot more to this relaunch malarkey besides Video Games Daily. We’ve got four completely new gaming sites that join the Kikizo Network, each bringing something genuinely new to the scene. FPS Gamer is, as far as we know, the first balls-out site dedicated solely to first person shooters – a game genre inexplicably under-catered to on a site-specific basis, when compared to other genres drowning in dedicated sites. Check out the site’s welcome article, and its highlight launch feature penned by Kristan Reed, The History of First-Person Shooters. Next up, VideoGameTV is our early re-entry into the video space, with an emphasis on variety and usefulness – and some surprises up its sleeve. LevelSkip is NOT your typical cheats and strategies site; it has a personality. It’s a friendly, editorially-led destination that’s as much a celebration of rock hard games and a showcase of impressive gameplay achievement, as it is a gaming help aid. And finally Gaijin Gamer… well, we’ve been cooking this concept for a while, and this “foreigners’ guide to gaming culture in Japan” should be as amusing as it is bonkers. All our sites have been editorially rethought, and are more inclusive, approachable and interactive than before. You’ll find fuller descriptions on all these sites in the PR that follows on the next page, as well as the website portfolio section of our new business site, Kikizo.biz, which also contains loads of updated info on our company, our history in the market, and other stuff. The full press release for all this follows on the next page. Posted in News, and tagged with adam doree, announcements, edwin evans thirlwell, Japan, kikizo, levelskip, relaunch, rupert higham, site news, vgd, video games daily, videogame tv. I’ll make sure I visit daily from now on! Anyway, bring on the interviews! I liked the old name better, the new name is very generic and easy to forget. Also one of the reasons I first visited Kikizo a few years ago were the then still rare high quality gameplay videos. A section of the site that has been neglected and then forgotten. And just want to add, to not sound all negative, that the interviews with japanese developers are still worth visiting. Could do with less western games being featured, as these are already extensively covered on plenty of other sites. I agree that “VideoGamesDaily” is on the generic side, but “Kikizo” was far too opaque. Anyhoo, we’ve retained the name for the company and network as a whole.